A family tour to Marmaris excites as much as it is memorable. With its clear beaches, adventurous safari tours, and a series of water rides; Marmaris throws into your fun menu a variety of exciting activities for your entire family. Whether you would like to sunbathe, dive into the warm waters on boat or just keep off the waters and get a wild tour on the jeep safari tour; Marmaris will certainly offer you that experience. One of the most popular attraction in Marmaris are water parks. If you have ever taken your family to a Marmaris Waterpark once, there is a possibility that you’ll visit it always. Marmaris Waterparks introduce you to a world of breath-taking water thrills. Two of the popular sites are the Aqua Dream and Atlantis Waterpark. Modern Marmaris Waterparks pack comfort in several sliding activities for summer that guarantee you and your family a memorable fun experience. 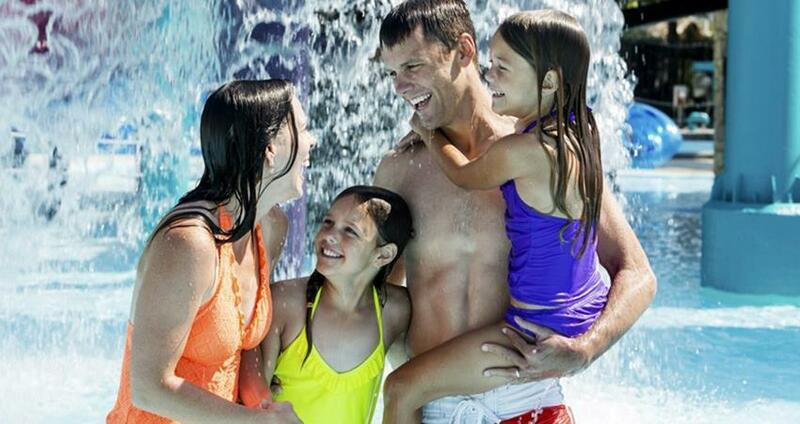 Also, enjoy the best family vacations and meet new explorers as you slide or swim in the waterpark!! But it’s not always a “swim and slide” experience; join us for a Mega Diana Boat Trip as we sail through the scenic Mediterranean sea. This trip is one of the most well known boat trip in Marmaris. If you want to see and experience the service of halts at various bays, boat ride, sunbathing, breakfast, unlimited soft, and hard drinks, reserved sun beds for everyone, and much more fun; you need to consider this boat trip. 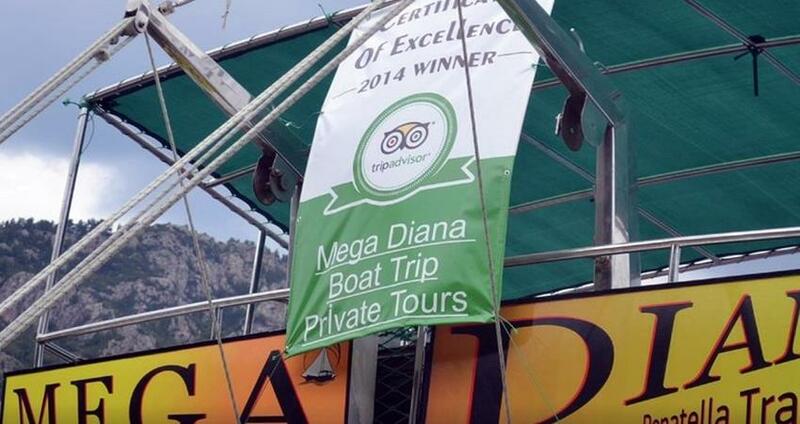 The Mega Diana Boat sails each and every day during the summer season. So you don’t need to worry about the crowded days or too many people on the boat, each and every time you go on this trip, your sunbed will be waiting for you. Take a family-friendly excursion through the countryside on board an all-terrain jeep, and then cool off at the Marmaris water park. 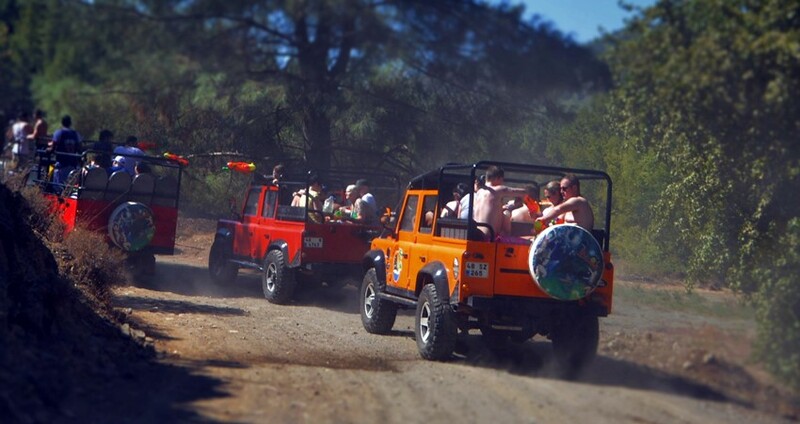 This tour allows you to combine the thrills of an off-road. Meet your guide at your hotel and head out to the mountains for your exciting jeep safari. Pass through Emerald pine forests, captivating waterfalls, and charming little villages around Marmaris villages take you to the dusty trails for breath-taking views of the rustic scenery. You also stop at lookout points that offer incredible views over the charming waterfalls before you make your way to the next destination. This trip is often incomplete without a visit to Jesus Beach near Orhaniye village. To walk in the middle of the Aegean sea will add another smile to your family holiday in Marmaris. Enjoy a fun-filled family day out on a day trip to Rhodes from Marmaris. If you have a valid Shengen Visa, you can visit the Greek Island of Rhodes from Marmaris. The travel time to Rhodes from Marmaris by fast ferry is only 45 minutes. This full day tour from Marmaris will give you the opportunity to combine two countries Greece and Turkey in one holiday. There are many historical sites as well shopping opportunities and local restaurants in this day trip. If you are planning a vacation to Marmaris with your family, then don’t miss out the crystal blue water on the Marmaris Pirate Boat Trip to make your holiday memorable. Play your part on this high adventure. Choose the Pirate Boat trip across the boat’ bows. To add to the excitement to family holiday, you can join Pirate Boat Trip in the Marmaris.